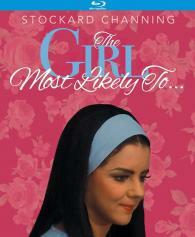 Stockard Channing is Miriam, an "ugly duckling" who is dumped on by everyone. After her heart is broken by a callous campus jock, Miriam tearfully speeds off in her car and is involved in a serious accident. Plastic surgery is required, and when Miriam emerges from behind the bandages, she is ravishingly beautiful. It's payback time when she uses her new attractiveness to exact revenge on all those who wronged her. Edward Asner plays the police inspector who's hot on the trail of the femme fatale. A dark comedy written by Joan Rivers, The Girl Most Likely To... will leave you in stitches!